We kinda lose our minds a bit in between talk of Atomic Blonde and its particular influences and the latest release, Pacific Rim Uprising. The Dubious Consumers, Vol 2 - Ep 8 - Happy Annihilation Day! Today we discuss our projects and the movies Happy Death Day and Annihilation. Here we talk about The Shape of Water and our thoughts on it, along with Nathan's modern day reaction to Network. I feel like Nathan's mad as hell and he's not going to take it anymore. You know, that sorta thing. 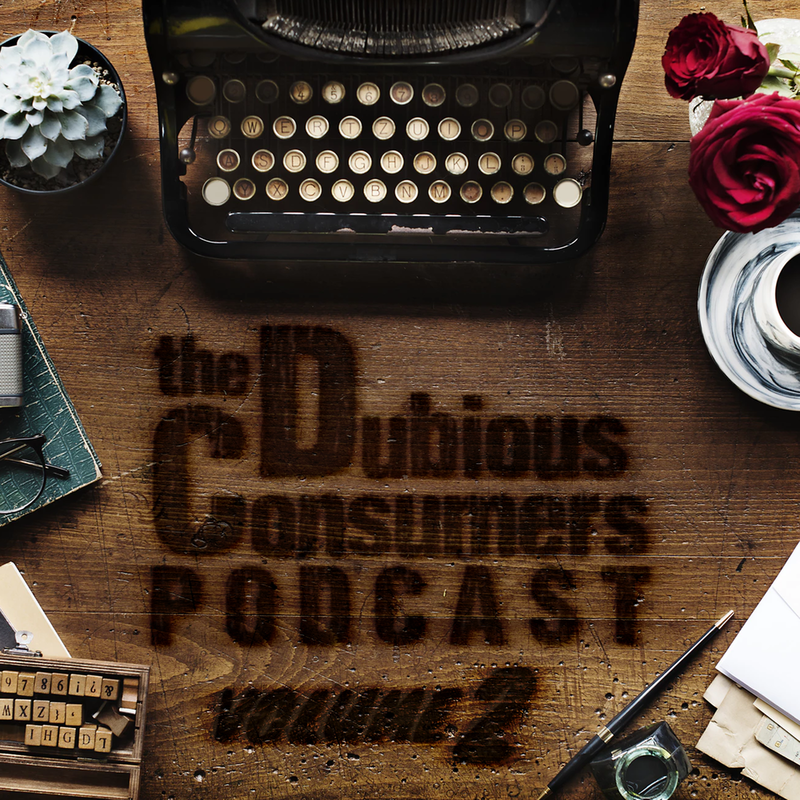 The Dubious Consumers, Vol 2 - Ep 06 - Watonga Forever! Boom. Got a special visit from Mr. Schuyler to discuss Marvel's latest Cinematic entry, The Black Panther. The Dubious Consumers are back again to talk about their latest projects, Titanfall 2, and Gore Vidal. Along with usual snippy comments and distractions, it's a perfectly normal episode of The Dubious Consumers, Volume 2. For a third week in a row, here comes The Dubious Consumers coming with a strong right hook! So, today, we're talking about Sideways and DARK. And, at the time of the recording, we hadn't seen Black Panther yet. So we tried something new. Here we are for our 50th episode: a commentary on our most discussed movie, Primer. We do a deep dive into the Ghost in the Shell reboot, which brings us into many different animes, series, as well as other failures in Sci-Fi reboots. Specifically, the Total Reboot 2012 remake and how closely the two mirror each other. Back in the action, the Dubious Consumers talk about Split and Logan! Full on spoiler cast. We try to slightly tweak our episode layout, only for it to go out the window as we talk about everything from documentaries to classic movies to our favorite concert moments. Schuyler rejoins the cast so we can go over our reactions to Ghostbusters 2016, Suicide Squad, with a bonus talk about The Killing Joke at the end! We talk about . . . things. Including our final thoughts on Ghostbusters and its controversy before it comes out.